With demonstration gardens, a nature trail, bird hide, information room and a well-stocked shop and sales area with herb, pond, wildflower, plants and seeds ideal for the wildlife and organic gardener. 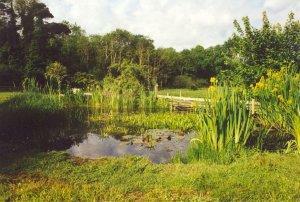 Learn how to create your own wildlife area or just enjoy the hundreds of wild flowers and wildlife ponds. There are also light refreshments. Programme of events held throughout the year. Easter weekend and June, July August we will open until 5. Take the A148 to Letheringsett through village and turn right at Glanfield sign (Brown signed Wildflower Centre). Follow road, walled on one side for 1.5 miles and turn right into Bayfield estate.